We wish to acquaint you with our company and our services. We hope you find the information we provide helpful in your search for a high performance power plant for your dream car. We wish to offer you the finest engine and power train options for your cobra* replica. We are the experts in Ford FE (big block) engines and have the best stock of original 427 side oilers in the country. 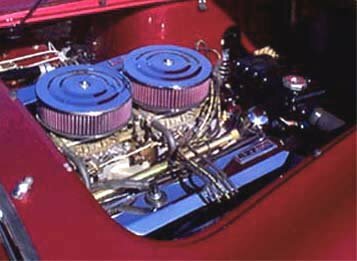 We also provide Ford power in small block engines such as the 351 Windsor and Cleveland models, and can provide 289 and 302 power as well. Our Ford toploader transmissions are completely rebuilt with all new internal parts to ensure your power gets to the rear wheels of your cobra*. We think we will provide you with some interesting information about engine and transmission choices for your Ford powered cobra*. Together, our staff has over 250 years of combined experience in the automotive power plant field. Our engines will push your dream car fast and reliably at the best possible prices. * Cobra is a registered trademark of the Ford Motor Company - SouthernAutomotiveEngines.com is not connected with Ford.